Sometimes, it may so happen that you may end up losing data on your new iPhone 7. There can be a lot of reasons which can lead to data loss and these include damaged phone, lost phone, mistakely deletion and more. Whatever is the reason, you may panic and you will wish to get your important data on iPhone 7 recovered so that you can use it. 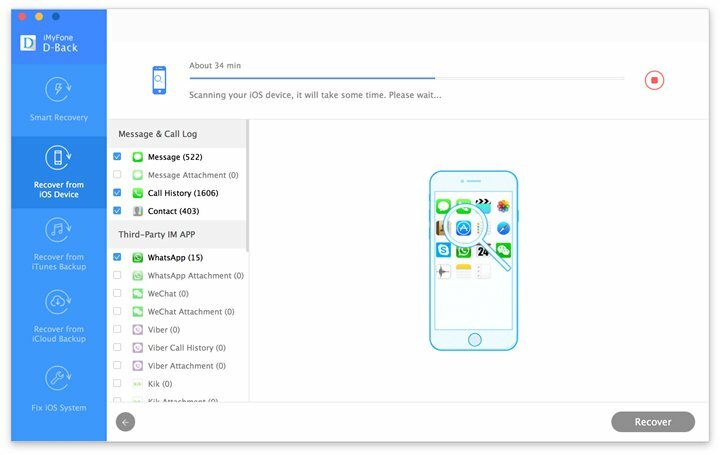 Of all the software which can be used, it is the iMyfone D-Back iPhone Data Recovery tool which seems to be a great option. Let us see the key features which it has to offer. 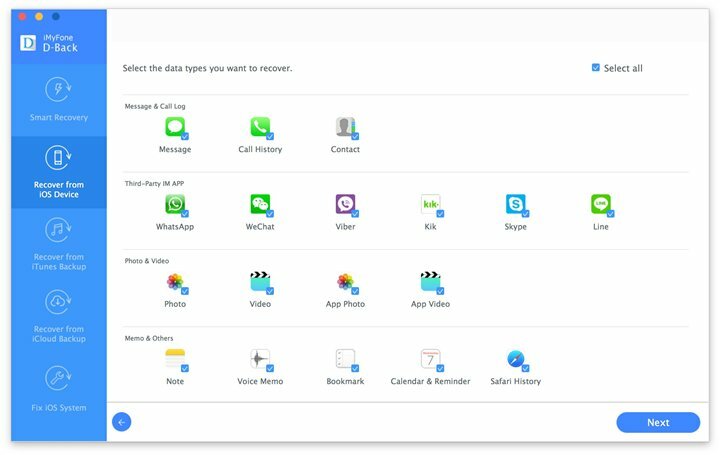 Here are some of the key features offered by iMyfone D-Back iPhone 7 data recovery Win or iPhone 7 data recovery Mac tool. 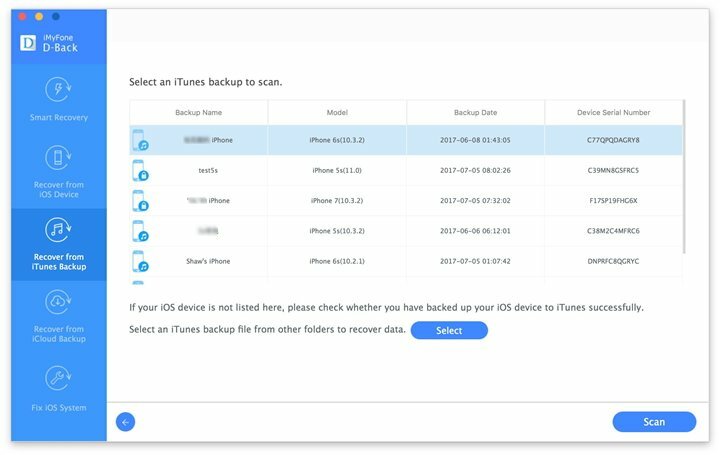 Supports to extract 22+ file types from the available iTunes backup and iCloud backup files. It is supported on nearly all iOS devices such as iPhone 7, iPhone 6s Plus, iPhone 6s, iPhone 6, iPone 5, iPhon 4s, etc. running iOS 10/9/8/7. Preview the extractable and recoverable before performing recovery. When you are looking to recover data from your iPhone 7 and you do not have a backup, here are the steps you need to follow. Now, you will see a list of different file types. Choose the ones you would like to restore. Connect your iPhone 7 to the system and let the program detect it. When the program has detected the device, click on ‘Scan’ so that the program will look for files on your device. Now, you will find a list of the media contained on your device. You can click on ‘show only the deleted files’ to shorten the time and lessen the results. 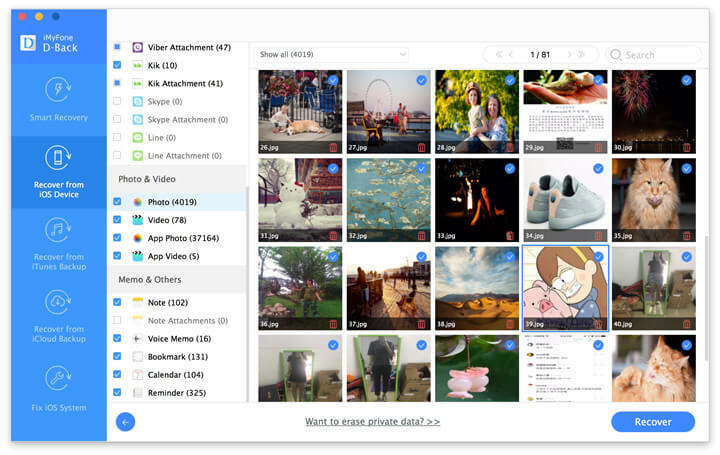 Preview the files and select the ones you want to recover. Click on ‘Recover’ and save them at a desired location. When you have a backup stored, you can recover your files easily too. Let us see the main steps to follow. 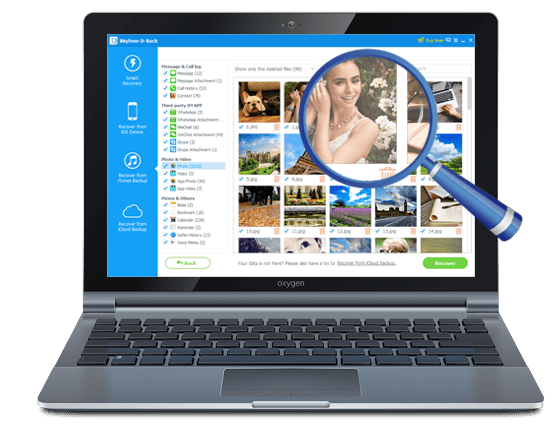 Download iMyfone D-Back Data Recovery on your system and install it. 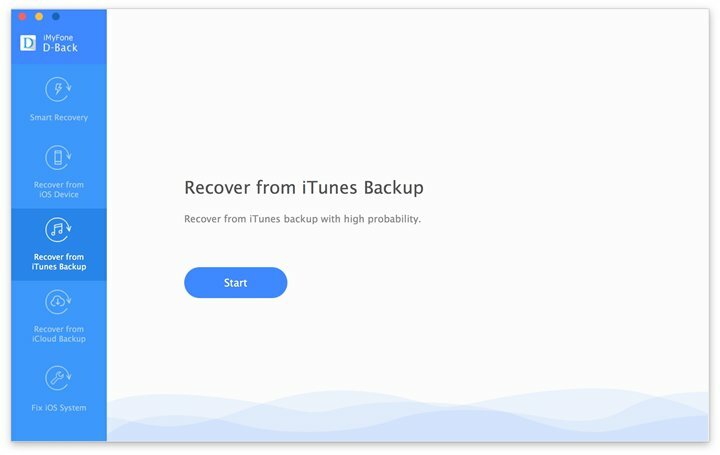 Select, ‘Recover from iTunes backup’ as the recovery mode option. You will find a list of different file types which can be recovered. Choose the ones you want. Now, you will see the different files in the backup. Preview them and select the ones you want to recover. Click on ‘Recover’ and save them on your computer. 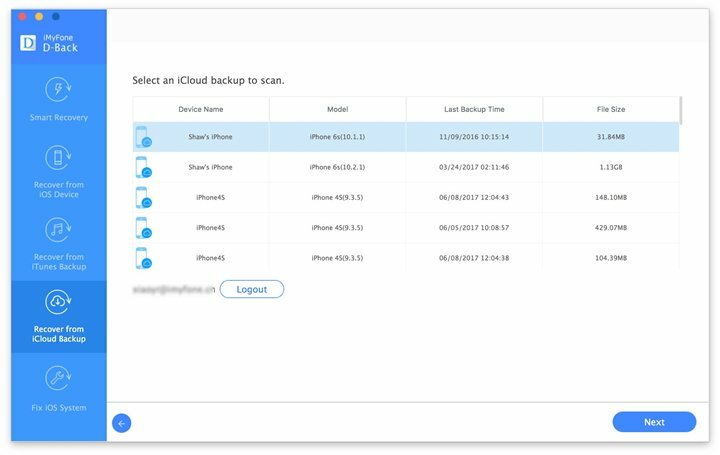 Here is how you can recover the deleted files when you have an iCloud backup. 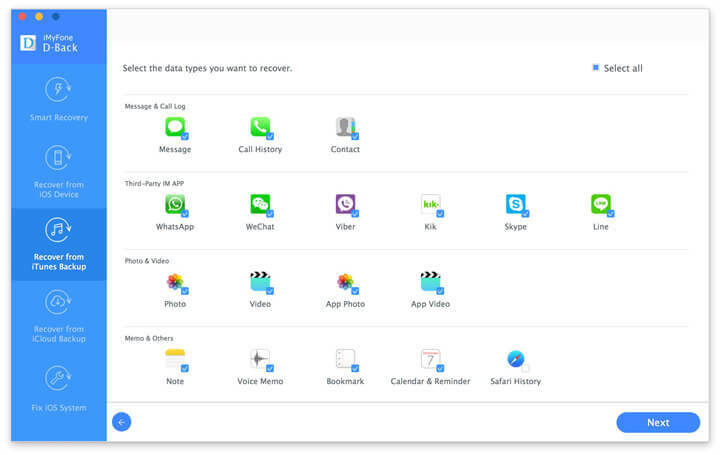 Download iMyfone D-Back iPhone Data Recovery on your system and install it. Choose the option, ‘Recover from iCloud backup’ as one of the recovery mode. Now, choose the file types which you wish to recover and click on ‘Next’. You will be prompted to enter your iCloud credentials. 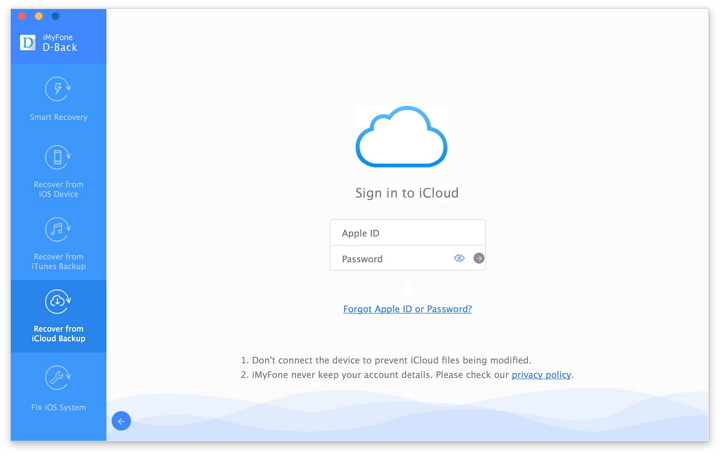 Fill them to access your iCloud account. 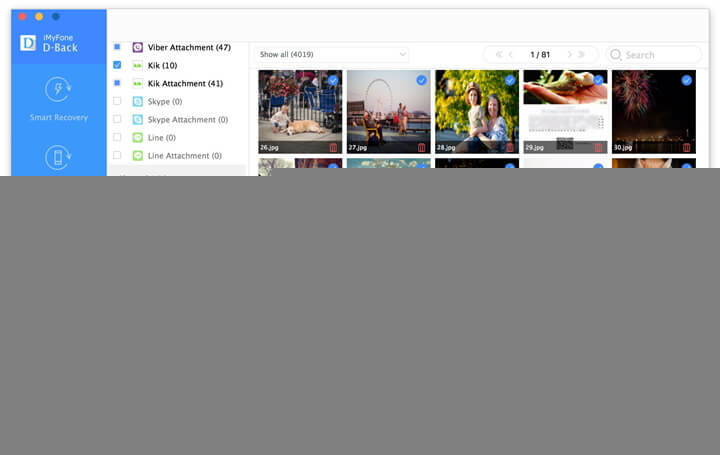 You will find a list of different backup files. Feel free to choose the relevant backup file you want to recover. Now, preview the lost data and select the ones you want to recover. Click on ‘Recover’ and save it on your computer. Choose any of these methods and get back your lost data. Now download the trail version of iMyfone D-Back iPhone 7 data recovery Win or iPhone 7 data recovery Mac and check whether your lost data on iPhone can be recovered using its scan and preview function.